Tony Kornheiser asks Howard Fineman if Tea Party members are "like ISIS trying to establish a caliphate"
Fineman asserted that “the House needs a dictatorial leader,” but Tea Party members don’t want a moderate politician in charge. “These people say, ‘we’re going to do whatever the heck we want, and we’re going to attack whoever the speaker is,’” Fineman said. Likely Speaker of the House, Paul Ryan, will have to “stage some kind of fight” with Tea Party members, “and defeat them, or take away their power, or go after them,” Fineman posited. 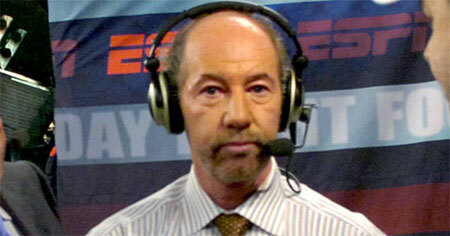 There have been some calls to suspend Kornheiser, but there have also been others defending him and calling for greater freedom for political commentary from ESPN employees, including this piece from right-wing columnist Matt K. Lewis of The Daily Caller. There are probably a million different opinions out there on if this analogy’s acceptable and if it isn’t, what, if any, action ESPN should take as a result. At the very least, though, this is well inside the murky political waters the Worldwide Leader hates getting into (seriously, they pulled a non-partisan politics show for being about politics), and it’s actually on an ESPN property (as compared to Schilling, whose comments were made on social media platforms; ESPN said at the time that “At all times during the course of their engagement with us, our commentators are directly linked to ESPN and are the face of our brand.”), so you know there will be discussion of it in Bristol this week. What comes out of that discussion is going to be very interesting to watch. Pingback: Audio: Curt Schilling says ESPN employs "some of biggest racists in sports"